Aditya, Akshaya, Akshur, Anahita, Anjali, Archanaa, Darshita, Gayathri, Janvi, Keerthana, Mahi, Medha, Megha, Meghna, Nidhi, Pallavi, Pavithra, Praveen, Priyanka, Rahul, Sai Santosh, Sakshi, Shreya, Shruthi, Siri, Swaathi R, Swathi B, Varun, Vibha, Vismaya, Vyas. A disciple of Vidwan Delhi P. Sunderrajan, Jay Srivas Sarva comes from a family deeply rooted in classical music. 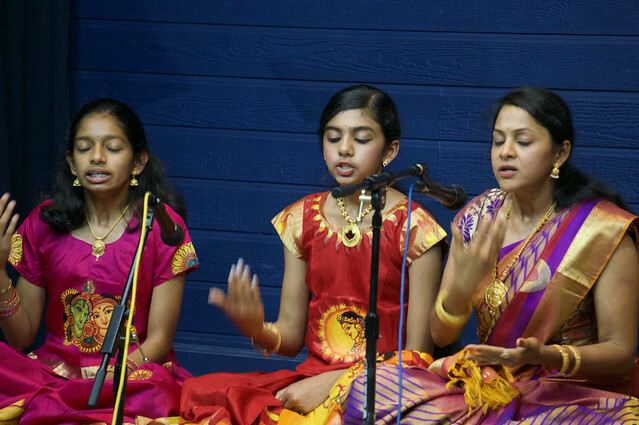 Srivas has accompanied for audio recordings, many schools in California, performed nationally, and placed in Indian Raga, Annamayya and OSAAT competitions.